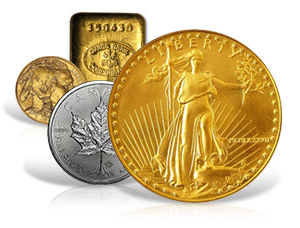 You would never want to engage in a precious metals transaction without complete confidence in a dealer you trust. That’s why it’s imperative that your precious metals dealer is a PNG-Accredited Precious Metals Dealer. Precious metals is a different playing field from numismatics, yet the ethics, principles and rules are much the same. But with precious metals, sometimes the stakes can be even higher. 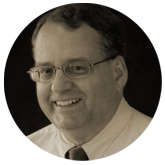 So it’s crucial that buyers and sellers of precious metals deal only with reputable experts. 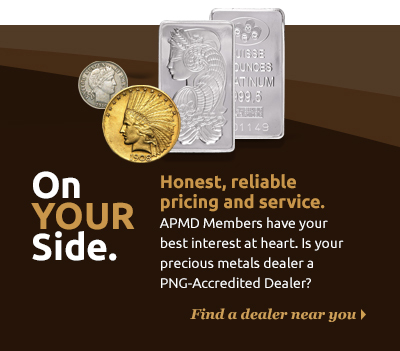 All members of the APMD must first be members of the Professional Numismatists Guild, so they are subject to the same stringent bylaws and membership requirements as all PNG dealers. But the membership requirements don’t stop there. 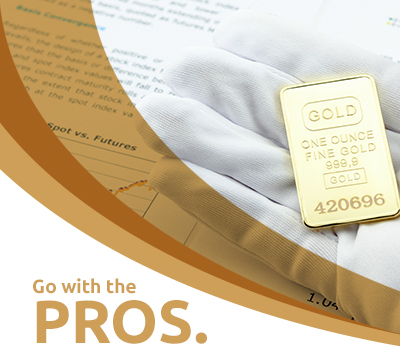 Why Choose a PNG-Accredited Precious Metals Dealer? APMD members are all deeply experienced coin and bullion dealers and required to demonstrate consummate knowledge about the history and value of very unique products. Nothing is more important to APMD than the ethical behavior of our members and they are all the most trusted dealers in the coin and precious metals business. APMD offers consumer protection benefits that ensure all transactions with member dealers are trustworthy and fair– that’s responsible business. When it comes to buying and selling precious metals, only one group follows the most stringent code of ethics to ensure confidence and integrity within the marketplace…APMD. Meet more distinguished APMD Members in our full Member Dealer Directory.